Alexa Hollen is a fighter. Forced to disguise herself as a boy and serve in the king's army, Alex uses her quick wit and fierce sword-fighting skills to earn a spot on the elite prince's guard. But when a powerful sorcerer sneaks into the palace in the dead of night, even Alex, who is virtually unbeatable, can't prevent him from abducting her, her fellow guard and friend Rylan, and Prince Damian, taking them through the treacherous wilds of the jungle and deep into enemy territory. The longer Alex is held captive with both Rylan and the prince, the more she realizes that she is not the only one who has been keeping dangerous secrets. And suddenly, after her own secret is revealed, Alex finds herself confronted with two men vying for her heart: the safe and steady Rylan, who has always cared for her, and the dark, intriguing Damian. With hidden foes lurking around every corner, is Alex strong enough to save herself and the kingdom she's sworn to protect? I have three young kids at home and my husband travels every other week, so finding consistent time to write is…hard. I have to make it happen whenever I can. Usually at night after the kids are in bed. Tuesday and Thursday mornings there are a couple of hours when all three kids are in school, so I usually try to split up that time between shopping for groceries or running errands (going to the store without little beggars in tow is such a luxury!) and time for uninterrupted writing. It’s always a juggling act. Whenever I have time to write when I’m home I think: I could clean and/or organize my house right now, or I could write. I could work on my photo albums that are now almost a year behind, or I could write. I could watch TV or a movie or sleep, or I could write. The majority of the time, writing wins, because it has to. Where I write varies on the day and time. Sometimes I write in the café at my gym. Sometimes I sit on my couch with the fire going. Sometimes my laptop is on my dining table and I use my headphones to listen to my music. Sometimes, I go hide in my room while my husband watches the kids on the weekends, and sit on my bed to write. 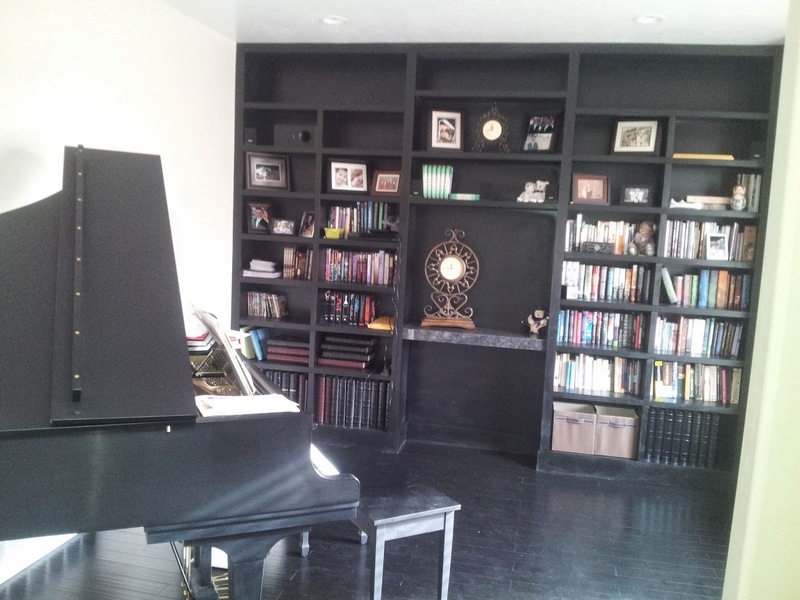 For Christmas this year, my husband turned our plain front room into a beautiful library/piano room, complete with a dream wall-to-wall bookshelf (that he built from scratch himself!) and a sound system I can use for my music. I love writing in that room, with the music turned way up. I just love having my music swelling around me as I type furiously, the story just flying out of my mind to my fingers, onto the keyboard. That is one of the best feelings in the world! My agent, Josh Adams, is the one who submitted Defy to Lisa Sandell at Scholastic. I hadn’t met her before, but I was (and am) a huge fan of many books she’s edited, including The False Prince series by Jennifer A. Nielsen. That is absolutely one of my favorite reads in recent years. Jaron is such a smart, fun protagonist. She is also Matthew Kirby and Kimberley Griffiths Little’s editor, and I love their books as well, so I knew she was an excellent editor. 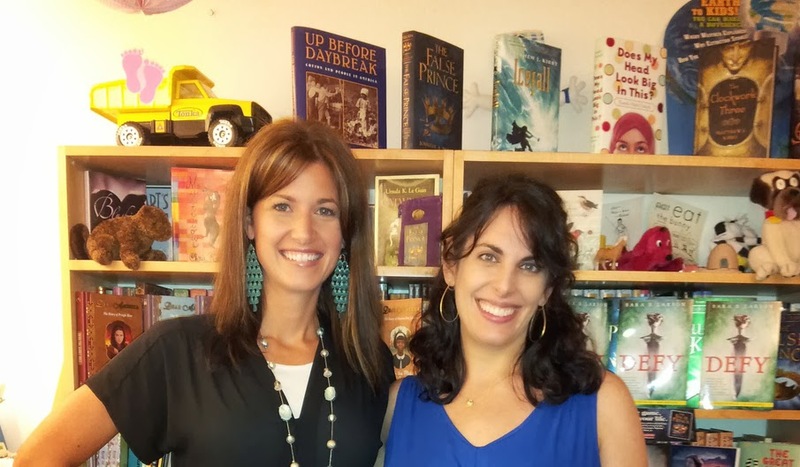 And she was so incredibly enthusiastic for Defy, and still is, I was blown away by her excitement for my book and her vision of how we would go about editing it together. And now, having worked with her, I can attest to the fact of how wonderful she truly is. The collaborative process with Lisa has been really fun, and not at all stressful, like I thought it might be working with an editor. She’s so thoughtful and conscientious. I love taking my stories to the next level with her. She truly “gets” my characters and my stories, and that is so important in working together on something that means so much to me. I’ve also met her, last August, and she was just as lovely in person as she has been through all of our communications. I feel very blessed to get to work with her! My agent really was right when he said he thought we’d work well together. He’s a smart guy! This is high up on my TBR pile, the cover is gorgeous and I really like the premise. Congratulations on its release. I love Sara, I loved DEFY, and I love this interview - thanks! What an awesome room in which to write that your husband created for you, too, Sara! (I've met him as well and he's terrific as well as those darling kiddos.) 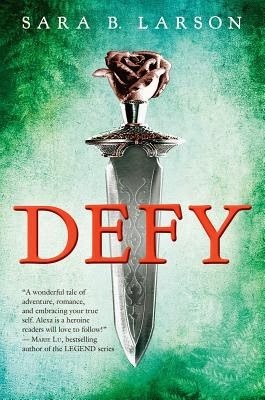 When does DEFY #2 come out? ?